Football players are taught to finish their blocks from a very, very young age. Though, the Raiders’ Michael Crabtree might have taken things a bit far on this particular play. 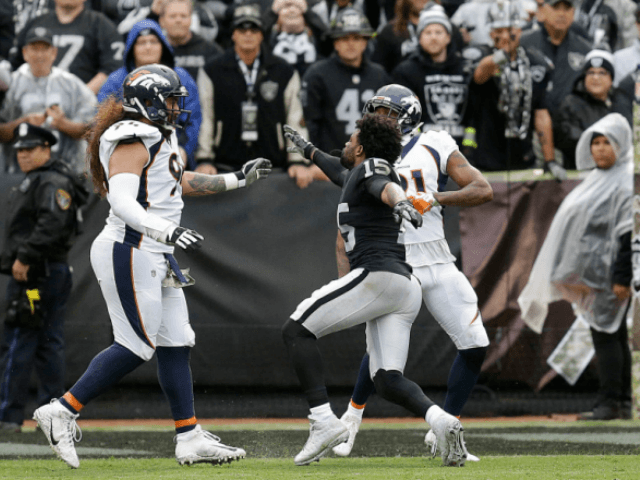 Crabtree was blocking Denver’s Aqib Talib late in the second quarter, however, instead of simply blocking until the whistle blew, Crabtree continued blocking Talib well after the whistle and eventually drove Talib into the ground.